Microsoft is giving away 100GB of free OneDrive storage space to Dropbox users and Bing Rewards members. Claim the offer before it ends. 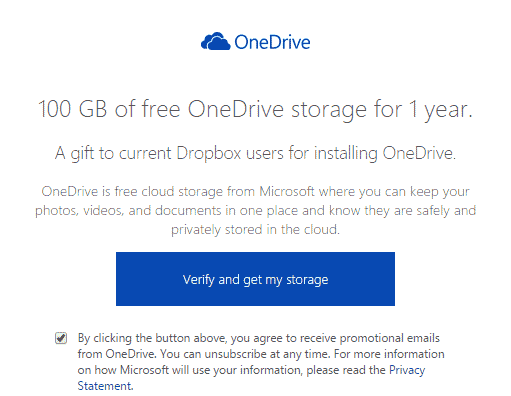 Microsoft is currently giving away 100GB of OneDrive storage space free to Dropbox users. Last week, they were offering free storage space for signing up to Bing rewards. If you want the free storage than you will need a Dropbox account. 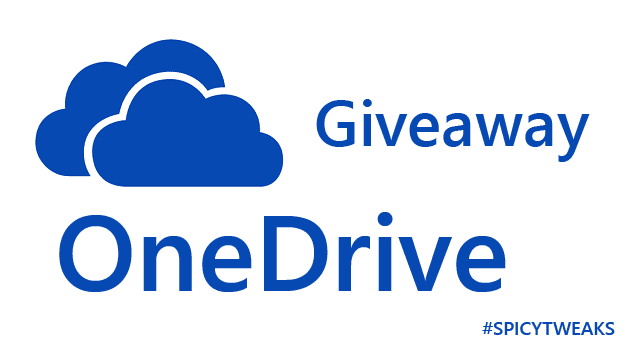 I participated in both the giveaways and I finished up adding 200GB of storage space into my OneDrive account. It is very simple to participate in this giveways. All you need to do is follow the steps given below. Go to this link and click on Verify and get my storage button. Next, Click on Save to Dropbox button. Microsoft will add a Get Started guide (PDF) to your Dropbox account. It is to verify that you own a Dropbox account. 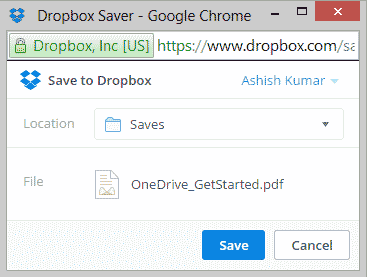 Save the file to Dropbox when it asks. That's it!You can now get started with free 100GB of OneDrive storage. Last week, Mocrosoft was offering free storage to its Bing Rewards members living in the US. If you're in US than you can claim 100GB storage for 2 years with Bing Rewards. Follow these steps. If you aren't member of Bing Rewards than sign up. It's one click process. If you use both Dropbox and Bing Rewards than you'll end up getting 200GB of free storage. Please note that you can use this storage space for 1 year. After that you you'll be able to access all the file but you can't add more files if you'll not add more space to it.